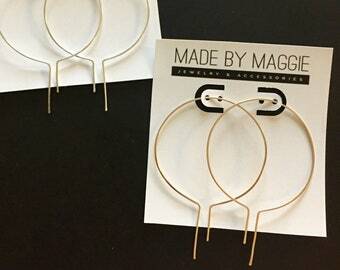 Lightweight, minimalist fun play on classic hoops. Thread it through and fuggettaboutit. 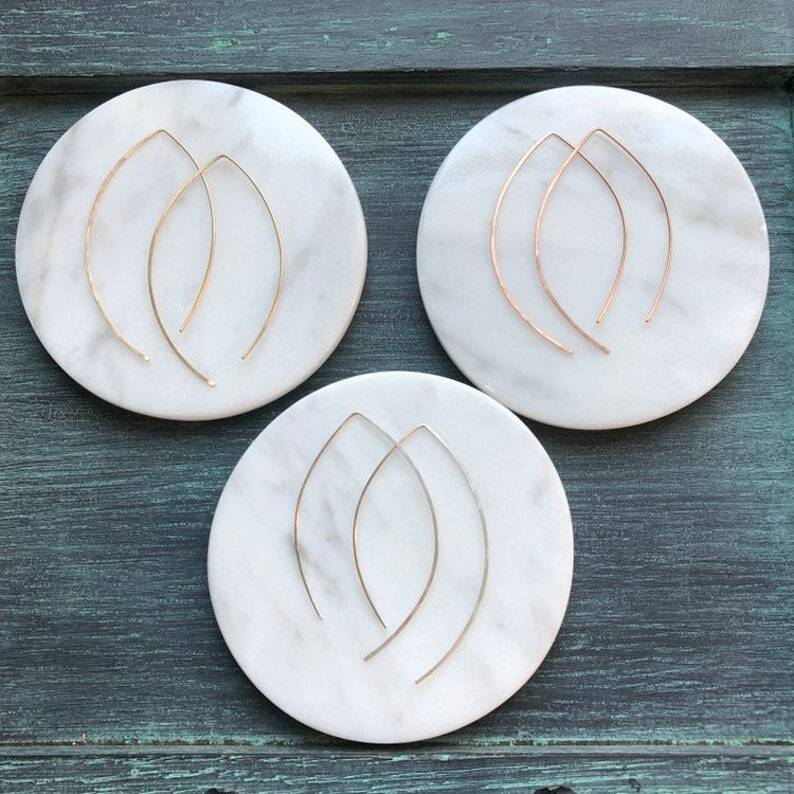 These are minimalist go-tos for all occasions! They dangle about 2.25 inch. Hypoallergenic, Available in 14k gold filled, sterling silver or rose gold.